We paid a visit to Mr. Aschenbrunner at the Silvia Oelkers Verlag to talk about something that always arises lots of discussions: cables and power. Some people do not believe that mains power and power cables can drastically change the quality of an HiFi system. Alexander Aschenbrunner is firmly convinced that high quality links bring huge differences in the quality of the reproduction. As usual we started making a complete phase check of the system (I will not tell You how it was before 😜) and then ended up with a complete Cammino cabling on the whole chain. 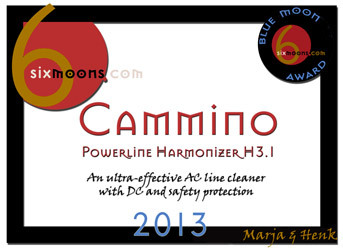 After connecting the Power Harmonizer and all the other cables, the whole system started to perform more and more dynamic and powerful. At the end of the day, without suffering of any tiredness we started playing the Dark Side of the Moon at really high SPL levels. Wow, that was amazing!! We would have continued, but slowly time for dinner came. Mr. Aschenbrunner was pleased and surprised, even though it was just a short session he appreciated it (as, of course, we did). He confessed me that he spent a quite part of the day after to reach the same level we had at the end of the listening session using his own gear. But he did not tell me whether he reached the result or not. 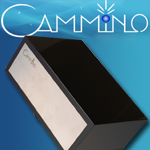 Soon there will be some more info about Cammino in those pages. Even this year, Peter Breuninger of AV Showrooms presented our room in one of his videos. To watch it You have to scroll a little bit down this page or go to Youtube. In the end he says that our sound is sweet and natural. Well, said by Peter is a great compliment!! This year we got an enormous coverage at the Munich High End. The Audio Traveller spent some time in our room at the end of the show and even if he was visibly tired, he gave me the impression to relax a little bit in there with us and our music. 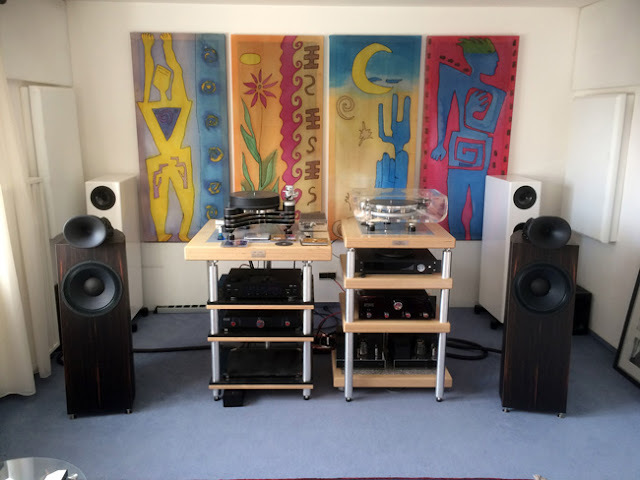 Angelo and Francesca of Audio Activity took the Munich High End very seriously. They have been listening all the rooms and have picked the best 5 (which in the end became 6) and the worst 5. Needles to mention that ours was among the best. Angelo, thank You for the big compliment!! And, my compliments for the straightforwardness: naming the 5 worse as well is something great!! In the last part of his report from the Munich High End, Peter Breuninger put a video of our room in the show. In his comments Peter says about our room that there was a beautiful sound, had a lot of crispiness and no coloration. Thanks Peter for Your positive feedback!! Here the link to AVShowrooms video on Youtube. And here to the same video on Google+. Angelo Jasparro (here in English), a well known and famous italian HiFi Journalist, leads Audio Activity, an Italian online magazine, since several years.